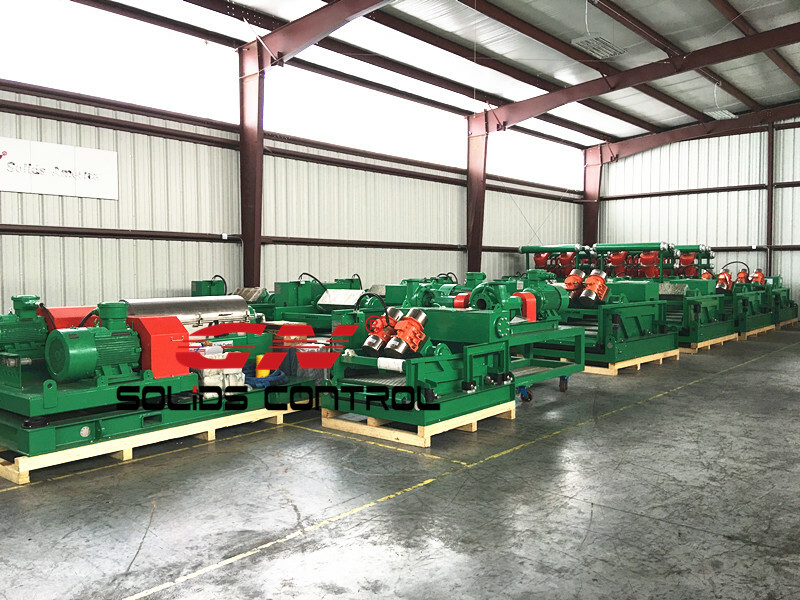 GN Solids Control just finished the manufacturing of some shale shakers several weeks before. 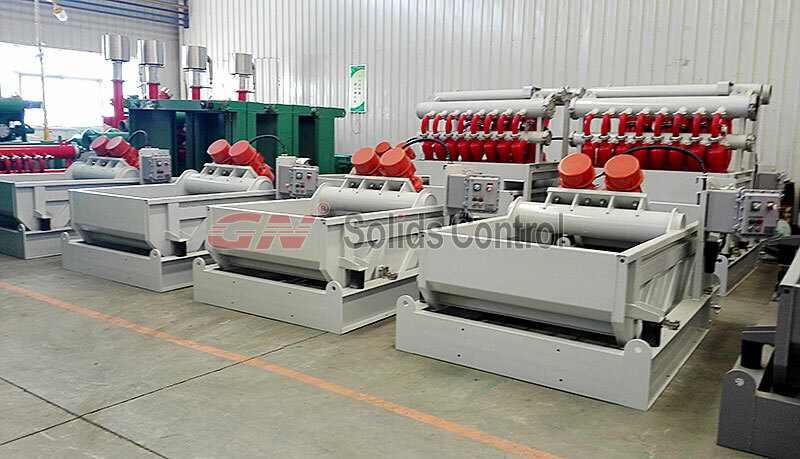 With more and more customers give high remarks on GN Solids Control, GN Solids Control are selling more solids control equipment than before even the oil price is not higher than before. 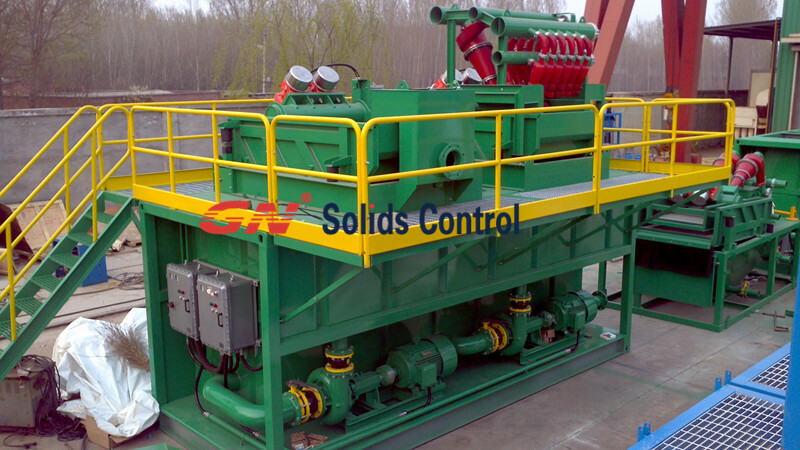 GN Solids Control has been manufactured shale shakers, de-sanders, de-silters, mud cleaners, decanter centrifuges as well as cuttings dryers for many years, as a high technology company, GN Solids Control and Waste Management systems have been widely used in over 70 countries. Among them, GN shake screens are that one that sells most due to they are wearable parts. As one key market of GN Solids Control, the Europe market has been using GN equipment for a long period. Those shakers were purchased by one old customer of GN who have used much GN equipment and always get excellent feedback. 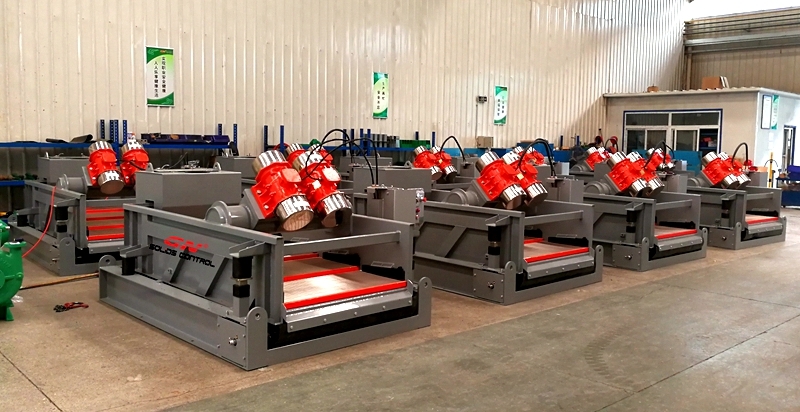 There are many types of GN shale shakers, which are either assembled with USA Martin or Italy OLI brands vibration motors. GN Solids Control only targets to provide the most cost-effective solids control and waste management equipment to high end market. As a leading solids control and waste management systems manufacturer, GN Solids Control has kept upgrading their products in order to meet the changing demands of GN customers. Many changes are made based on thousands of valuable feedbacks collected from different work sites. For these shakers that purchased by our European customer, they will be used in several different large oil and gas drilling rig site. This customer also purchases some GN shaker screens. Actually, from the long run GN customers save a lot on the shaker screens investment. When GN engineers do the compare test in the rig site, they found that GN made shaker screens have almost the same separating performance and quality. Decanter centrifuge is necessary equipment working for oil drilling mud system. Most of client will need 2 sets centrifuge for operation. The dual centrifuge system including one set high speed centrifuge for lower gravity solids removal; one set lower speed or middle speed centrifuge for high gravity solids removal; screw pump for feeding the dual centrifuge will be also concluded, as well as telescopic high skid for installation. However, we recommend clients to buy some shaker screen in stock for use in advance. Because the price of original Mongoose shaker screen is much higher cost. 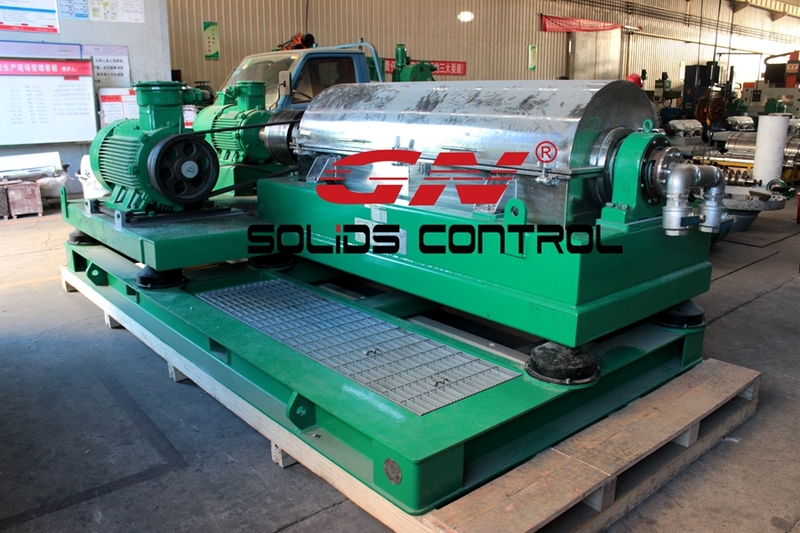 GN Solids Control just got another repeated order on decanter centrifuge and shaker from one Middle East client. Although the oil price is still very low, many drilling companies are stilling drilling, anyway, if you drilling then you can make money. On the same time, you need to think about to use a very good equipment to do the work and save cost. 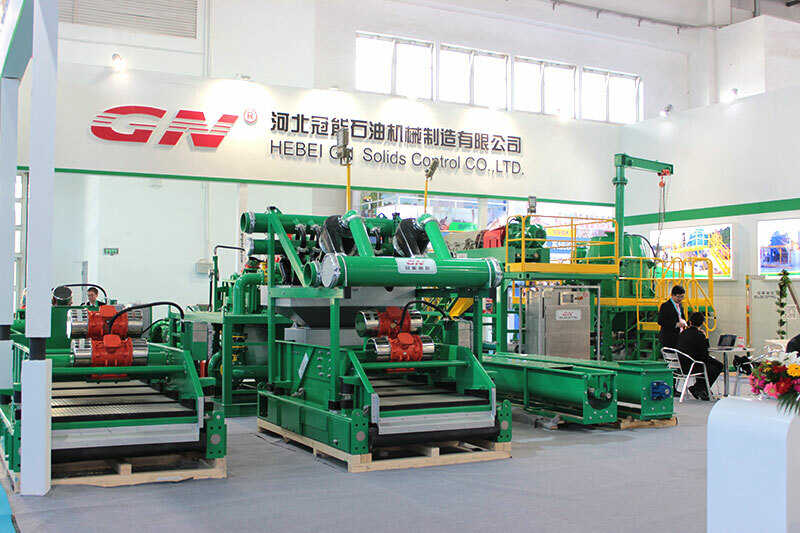 GN Solids Control manufactures over 300 set decanter centrifuges and 500 sets shale shakers every year, most of which are using in the oversea market. Thousands of successful projects have been proved to be worth use GN Solids Control equipments and drilling waste management systems. As one branch company locates in Houston, TX, USA, GN Solids America LLC has one warehouse which keeps many shakers, decanter centrifuges and cutting dryers in stock. This project is made due to GN Solids America has these equipments in stock and can be arranged for delivery immediately. This Middle East client came to GN Houston warehouse and checked those decanter centrifuges and shakers before make the final purchase order. This is the star products made by GN Solids Control, with the treating capacity of 130 GPM, excellent rotating bowl made of duplex stainless steel, screw propeller edges are covered with hundreds pieces of tungsten carbide tiles. Many large companies are also using GN Solids Control decanter centrifuges such as Shell, Baker Hughes and Halliburton etc. One VFD control cabinet is also used; all those parameters such as the bowl rotating speed, and differential speed etc can be changed easily on the HMI. GNZS594 shaker is using USA made Martin vibration motors for long time usage, large thickness metals are using to make the shaker deck in order to have a better linear motion. There are 4 pieces shaker screens fixed on one 594 shaker. Shaker screen size is the same with Mi-Swaco mongoose. GN Solids America LLC now has many shale shakers in stock. As one of the famous solids control and drilling waste management manufacturers, GN Solids Control is well known in North America. With the opening of GN Solids America LLC in 2014, GN Solids brands name is getting to known by more and more professionals. GN has a large warehouse located in Houston, TX. Houston is a oil and gas city, many famous drilling companies and energy companies have headquarters or branches in Houston. Every year, there is also one large oil and gas show exhibited in Houston. We’re glad to see the oil price is growing since this April. Hopefully, the oil price can keep at a relative high level which should benefits for the economy growth. There are over 11 sets GN shale shakers and 5 sets mud cleaners (desanders and desilters) stocking in Houston warehouse. GN shale shaker is using world famous vibration motors: one is USA Martin and the other is Italy OLI. Both these motors are working perfectly well and provide a rest assured after sales services for GN shakers. The one GN has in Houston is GNZS594 shaker, which treating capacity is around 500 GPM. GN shaker working angle can be adjusted conveniently by add some convening mechanical device on one side, ranging from -1 to 5 degree. 4 panels screens are using in one GNZS594 shaker. Every screen is fixed with two wedges, which can be easily taken out by using hammer. Only one worker can change GN screen by himself compared to other shaker screens they usually demand the cooperation work of two people. Mongoose screens can be also used on GN 594 shaker. Now GN Solids America LLC has a large promotion policy for shakers and shaker screens. If customers buy some shaker screens from us, we will provide a very competitive price on the shakers. Welcome come to GN Houston warehouse and discuss details. GN Solids Control is definitely attending CIPPE 2016 Beijing oil show at 30 to 31, March. Most of us welcome clients from international to visit GN booth along with talk more business cohesiveness. If client miss CIPPE oil show , we also have OTC U . S . oil show in Could and Iran oil demonstrate in May. The client also can visit GN boot within USA or Iran that is certainly close to client. The equipment is practically same, we will take the large technology solids control devices to the exhibition and show the great product and talk much more business with clients coming from different countries. Decanter centrifuge is key equipment regarding solids control / drilling waste management. During CIPPE oil show, the centrifuge family will be there, such as baby centrifuge (9inch centrifuge), 14inch decanter centrifuge, 18inch decanter centrifuge and 22inch big bowl big capability decanter centrifuge. During NON-PRESCRIPTION and Iran oil present, only the 14inch jar centrifuge will be show right now there. Because this model centrifuge is among the most popular for solids control industry application. Vertical cuttings dryer will likely be shown at CIPPE necessary oil show, Beijing and OVER-THE-COUNTER oil show, Houston. This particular vertical dryer is used intended for drilling waste management. The majority of client for this unit is usually from China, Iran, UAE, Nigeria, Algeria, etc . But undoubtedly, more and more countries will get the vertical cuttings dryer to obtain better protection for natural environment. Shaker will be shown in CIPPE or OTC. The customer may compare the GN shaker advantages at the display compared with other brand shale shakers. We have many particular on the shaker and also shale shaker screens. Shaker will be shown in CIPPE or OTC. The customer may compare the GN shaker advantages at the display compared with other brand shale shakers. We have many particular on the shaker and also shaker screens. This week, a new big batch of Shaker Screens arrive at the warehouse of GN Solids America LLC. It will further meet the customers’ urgent need in North America. Shaker Screen, as a wearing part of Shale Shaker, needs to be replaced regularly. As a top provider of complete line of solids control equipment and packaged mud system, Shaker Screens are also 1 of its mature products. In 2015, over 20,000 pcs of Replacement Screens were sold around the world. Please they are just the replacement shaker screens for the original ones from Derrick, Swaco, etc. GN Solids America LLC was held in Houston in May, 2012. Until now it has been 3 years. The good location, convenient work condition, big warehouse, experienced salesmen and after-sales workers make GN Solids America LLC become more and more well known for the customers of North America. Lots of projects and cooperation have been received. As compared with the solids control equipments manufactured by the companies in North America, the equipments of GN Solids Control have very dominant price advantage. 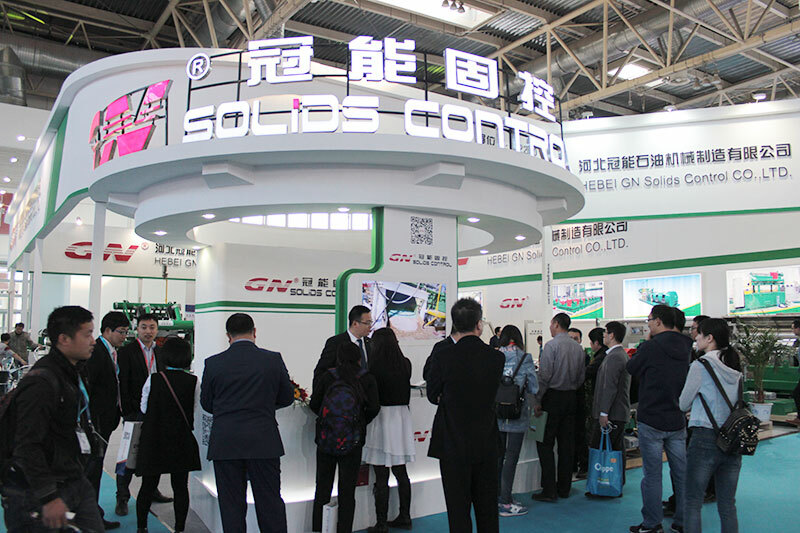 Meanwhile, GN Solids Control has been putting high attention on the product quality since the first day it was held. Actually, GN’s products has already been well accepted by the customers from Middle East, Russia, Southeastern Asia, etc. Now, Strategically more and more equipments and spare parts will be delivered to and stocked in the warehouse of GN Solids America LLC, it will further facilitate the North America’s customers in the future. Finally, if you have any need with the products used for solids control and drilling waste management, welcome to visit our website or contact us at any time. You were promised that the good quality and competitive price will be provided. Even though the passing year is really law the oil and gas industry, typically the crude oil price is into the bottom low record in the past 11 years. There is continue to need for solids control devices, this time, maybe not for oil and coal drilling, but for the HDD drilling projects, the CBM drilling projects and occasion the TBM piling operates. 2 . desander and desilter cones, in HDD drilling, especially the large capacity HDD drillings, there is always a mud cleaner combining both desander cones and desilter cones. For smaller HDD mud systems, there is a desilter mud cleaner only. And for TBM works, because the treating typical is not so strict, they will always use desander cones together with under flow shaker. several. Mud mixing system or even calling jet mud mixer, this is a standard equipment for all those HDD projects no matter a greater capacity one or a smaller just one. Because for HDD is effective, they need to add new chemical compounds into the cleaned drilling mud, while the pilings media is definitely water, there is no need to use the particular mixing device for adding or TBM. Of course , every single jobsite and each jobsite’s positioned country is different in natural environment standards and regulations, therefore each set of complete system is not exactly the same, like the change in locations, in configuration, and the equipment adopted. 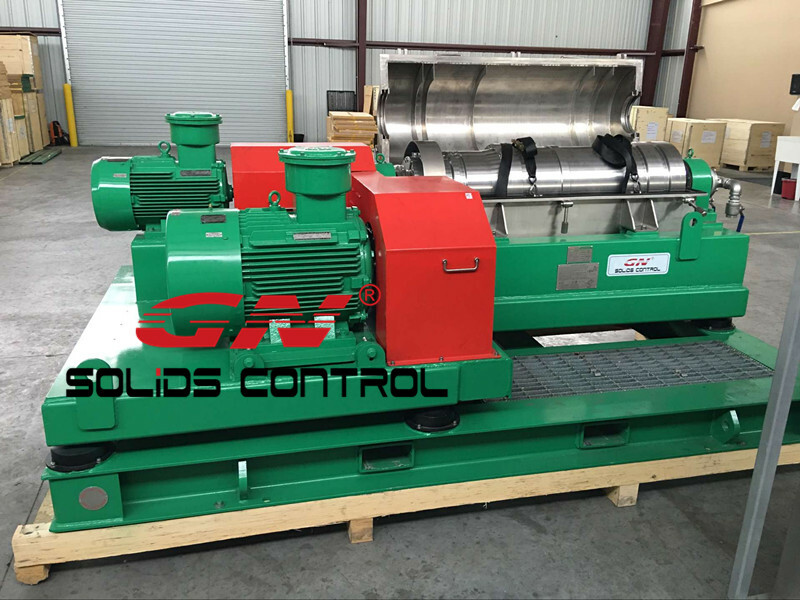 GN Solids Control is the leading supplier of HDD mud these mud cleaning systems for many years, and GN has experiences in more when compared with 60 countries and territories. GN’s engineer team possesses more than 20 years of functioning experience in this field. Should you have this kind of project, pls seek advice from GN for more information. As the New Year 2016 is coming, GN Solids Control would like to say Happy Start of the year to you all. Hope most GN friends in the start of the year will have a happy family and a great heath. With the New Year 2016 arriving, GN Solids Control is another one year older. GN has growing from a small corporation to a modern factory which often as many certificates such as API, HSE, DNV etc, these cannot be completed without the fantastic help and support through GN friends. We’d want to give our since because of you all. In the past 2015, GN Solids Control retained a fast growth although the acrylic price is sharply cut down from top 130 usd/barrel in order to 35 usd/barrel. GN Solids Control equipments and drilling cuttings management systems get to be the first choice for many large coal and oil clients as they are trying to slice the cost. GN solids control equipments has won quite a few large projects when concluding with world famous leading firms. GN shakers, decanter centrifuges and cuttings dryers are actually proven to be the best quality products together with good separating performance even though the price is pretty competitive. GN Solids Control now has 2 branch companies: GN Solids America LLC which is situated in Houston Texas and GN Solids Russian in Moscow, Russia. With the fast improvement, GN Solids Control can open another warehouse throughout Middle East. GN also offers some partners working in around 60 countries to provide tech support team and after sales service regarding GN. GN Solids America LLC is registered with 2013, and started the real business in 2014. Although GN Solids America LLC is still a fresh firm in North America, using the large support from GN Solids Control, now GN Solids America has a substantial warehouse, which can stock equipment including vertical cuttings dryer , shale shaker , shear conveyor , shear pump , oilfield shale shaker , mud cleaner , desander and desilter , vacuum degasser , Mud Gas Separator , decanter centrifuge , mud tank , mud agitator , etc . Each of the spare parts for those equipments may also be in Houston warehouse intended for fast delivery. Recently GN solids control shipped 2 shale shakers and 2 mud cleaner units for Hongkong clients, area is customized silver off white color which is different with normal green color, we can easily provide customized color, style, brand and nameplate to get client’s special requirement. The particular desander cone, desilter cone and bottom shale shaker combination as mud cleaner, compared with single desander, desilter, the mud cleaner using bottom shaker which can obtain useful drilling fluids and prepare the discharged solids ground, and the footprint is scaled-down. Sometimes when shale shaker is not working, it can be likewise used as back up shaker. With different quantity desander cone and desilter cone, the particular mud cleaner has several treating capacity, 1S8N having 1 of 10 in . desander cone with eight of 4 inch desialter cone, the treating ability is 500gpm, 2S12N using 2 @ 10 half inch desander cones and twelve @ 4 inch desilter cone with treating capability about 1000gpm, 3S16N together with 3 @ 10 half inch cone(sometimes with 2 connected with 12 inch desander cone) and 16pcs of some inch desilter cone, the particular treating capacity is 1500gpm. The Hongkong client ordered 2 units of 1500gpm capacity mud cleaner having 3 desander cone, sixteen desilter cones. The shale shaker and mud cleaner bottom shaker are the same type, and use the same dimensions shaker screens, so the customers do not have to make different dimension screens for inventory. Each of our most sold shale shaker models including GNZS703 and GNZS594, the former model together with 3 panels screens regarding size 700x1250mm, the other model with 4 solar panels screens of size 585x1165mm. Right now we have several sections of GNZS594E-HB shale shaker and mud cleaners with stock of Houston part, welcome to visit GN solids America. With the US Charlie brand vibration motor, high-quality and reliable performance is actually assured.